This blog is extracted from the article 'Cumbria Hair Salon Opens Free Wig Bank for Hair Loss Sufferers' on Cumbria Crack. A Cumbria-based salon that recently joined a pioneering charity’s expanding network of Salons that Care has opened a wig bank. Glamorous Butterfly, which is based in Whitehaven, Cumbria, will be supplying free wigs to people suffering from hair loss who are unable to fund their own. The salon owner Vanessa Cowan, 41, trained to be a hairdresser following her alopecia diagnosis at the age of 38. She then attended the mynewhair charity training seminars, which taught her the many ways of supporting anyone who has experienced medical hair loss through wig customisation. Founded and inspired by professional stylist Trevor Sorbie MBE, mynewhair provides advice and support to anyone who has experienced medical hair loss, and has a national support network of independent salons and trained hair professionals who provide a wig-customisation service for their clients. The new wig bank available through Glamorous Butterfly was created as Vanessa felt very privileged to be a wig specialist and wanted to give back as much as she could as a sole trader. Whilst the wig bank is open to children and women worldwide who cannot afford to fund their own wigs and hair pieces, it is primarily aimed to those within the UK. There is a small means tested application process but after that the wigs are totally free. Though the bank heavily relies upon donations, they already have a mixture of brand new and nearly new reconditioned wigs that have been provided by Vanessa and through donations. 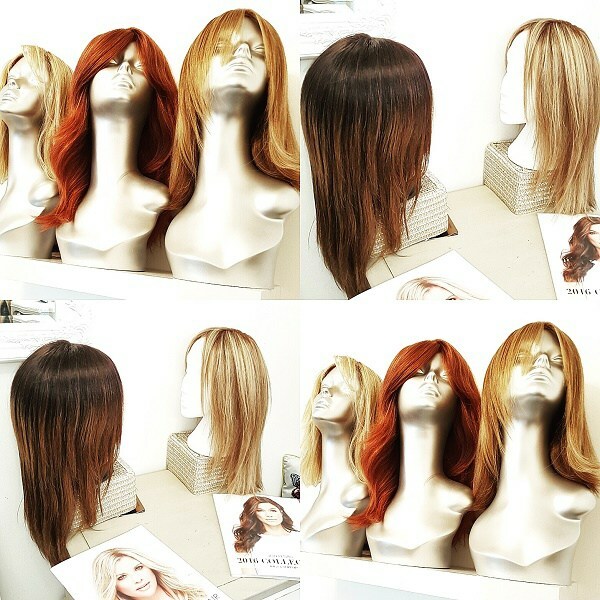 Glamorous Butterfly also offers a free cutting and styling service for wigs from the wig bank. The salon is also now featured on the approved list of wig suppliers for North Cumbria University Hospitals NHS Trust. To find out more about mynewhair visit www.mynewhair.org or via Twitter @mynewhairorg, or follow the charity on Facebook and LinkedIn. You can also donate to the wig bank by emailing Vanessa Cowan on vanessa@glamorousbutterfly.co.uk.